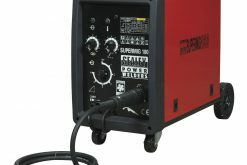 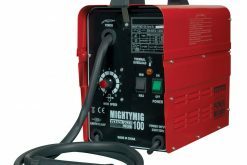 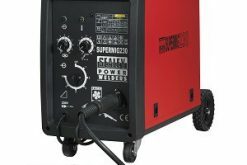 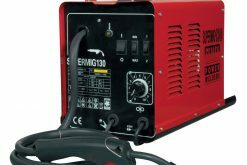  One of our professional MIGHTYMIG range this compact gas/no-gas welder offers excellent performance at an extremely competitive price. 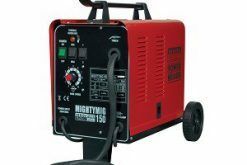  This unit is set up ready to go in gasless mode but can also be switched easily to use with gas by a simple change of polarity and purchase of a Gas Conversion Kit – Model No. 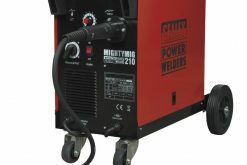 120.802032. 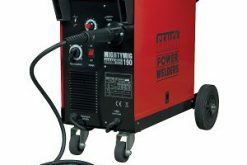  Supplied with comfort grip non-live torch, 1.8mtr earth cable, 1mtr gas hose, 0.45kg flux cored wire and 1mm contact tip.